Dr.Eng. Nanik Suciati S.Kom., M.Kom. 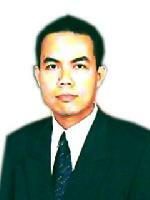 Dr. Agus Zainal Arifin S.Kom, M.Kom. 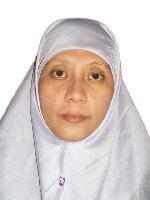 Dini Adni Navastara S.Kom., M.Sc. Prof. Ir. 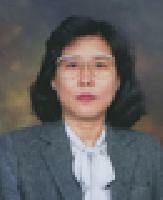 Handayani Tjandrasa M.Sc., Ph.D.,	Dr.Eng. 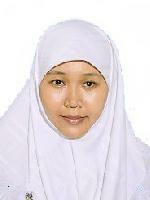 Nanik Suciati S.Kom., M.Kom.,	Dr. Agus Zainal Arifin S.Kom, M.Kom.,	Dr.Eng. 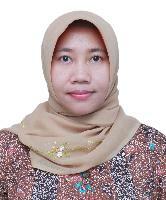 Chastine Fatichah S.Kom, M.Kom,	Diana Purwitasari S.Kom., M.Sc,	Dini Adni Navastara S.Kom., M.Sc. Iris is unique for each person, so that it can be used as one alternative solution for human identification. In this study, an iris recognition system is developed to automatically identify a person by using eye image data. Firstly, iris area of eye image is detected using Canny Edge Detection and Hough Transform methods. Secondly, texture feature of iris image is extracted using statistical moments of Wavelet Transform. Furthermore, the texture feature representation is recognized using Support Vector Machine classifier method. Experiment on CASIA eye image dataset gives good recognition rate, that is 93.5%.